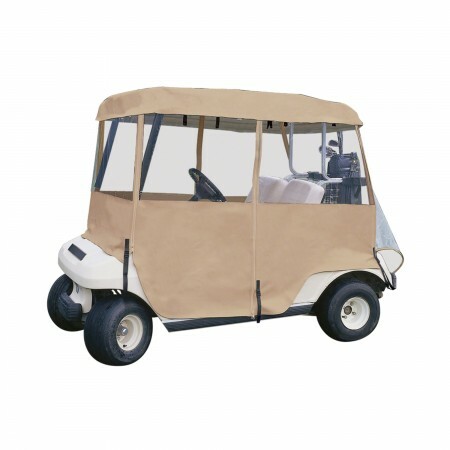 Drivable golf cart enclosure for 2, 4, and 6 passenger golf cart. -Can install simply by draping over the top. -Vinyl windows and polyester sides. -Water resistent. See beaded up water below. -Uses zippers to access cart. 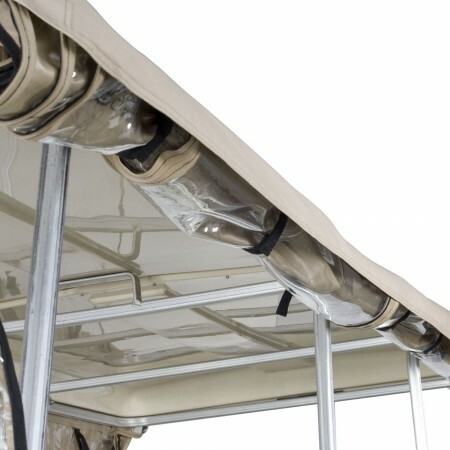 -Side are secured in the up position with straps. See picture below. -4 sides. Golf clubs can be unloaded by using rear zipper. -No tools or drilling required. -Will work with a golf club cover when the rear window is in the up position. -Clean with a soft rag. Do not use soap on the vinyl windows. 3 year warranty for defects and workmanship. See below for a side rolled up and secured. 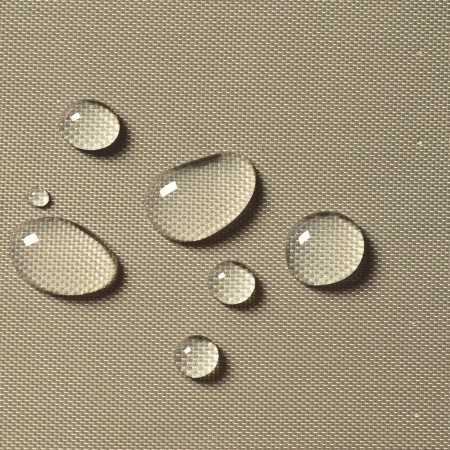 Also a close up of beaded water.